As you read in the previous article, Saint Martin’s Day in Italy is a religious celebration but strongly related to the farmers life. It marked the time of renewing agreements, buying new livestocks, tasting the new wine and eating good food. 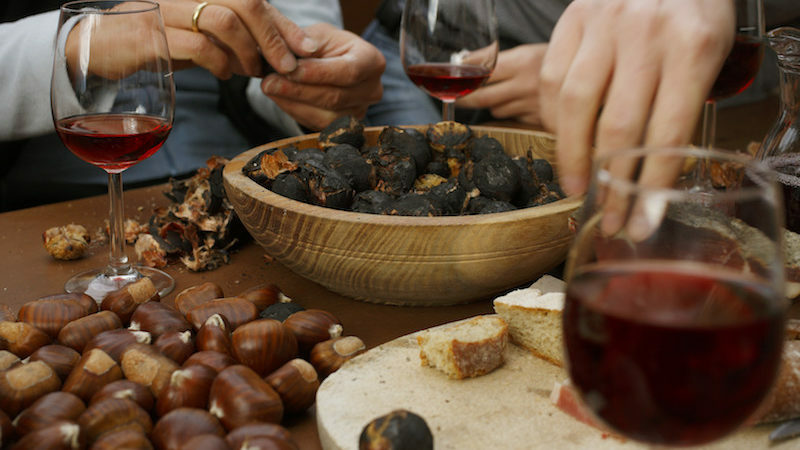 Today St. Martin’s Day represents a moment in which people taste local wine and enjoy autumn. The last time I talked about the saint, why he is so popular and the common sayings related to his day. 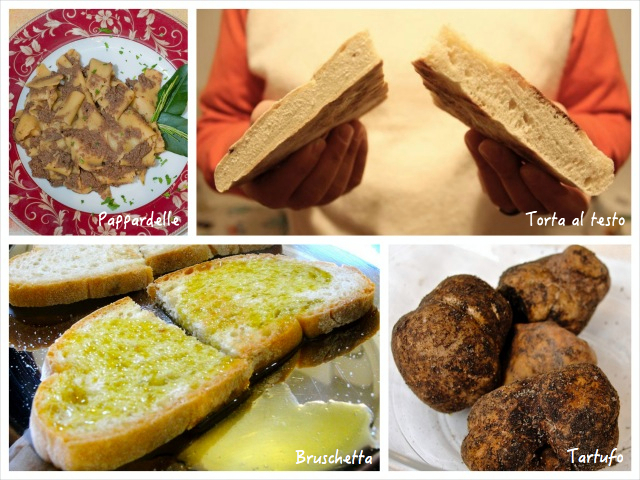 Now I make you discover what are the food traditions throughout Italy and the events you have not to miss. From north to south Italian tables are rich in wine, chestnuts and goose. 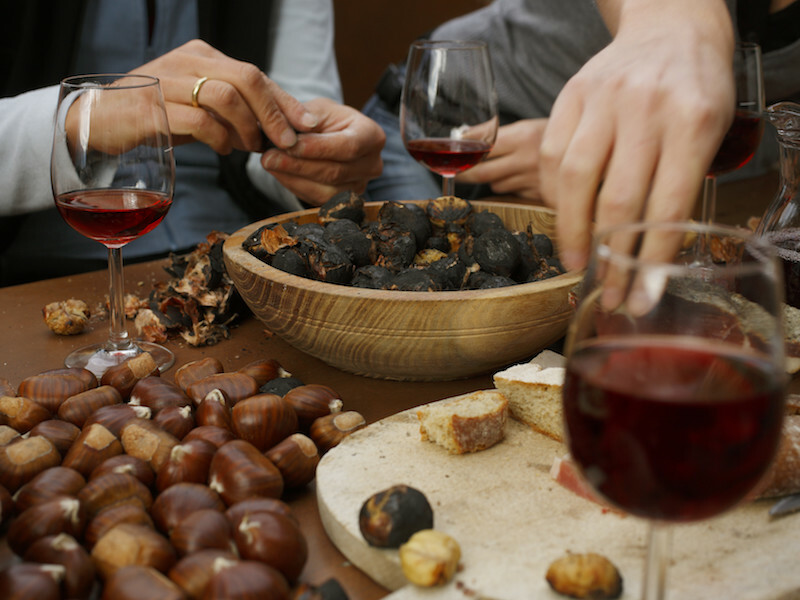 Saint Martin’s Day falls during autumn that is the period of chestnuts and other delicious autumn food. But the goose? This animal represented the “pork” for the poor and, as rural people were strongly devoted, they used to eat a lot on Saint Martin’s day because a period of fast started the day after. The tradition to eat goose refers also to the Celts and their Samhain, the Celtic New Year’s Eve. The goose was sacred for the Celts, because it represented the Messenger, who led dead to afterlife. You can eat goose dishes mostly in northern Italy, but not in Rome. Probably the reason is that gooses saved Rome from the Gallic invasion and they were considered to be venerated instead of to be eaten. Gooses are also connected with Saint Martin’s history. When people wanted him as bishop of Tours (France), he tried to hide but gooses found him. Eating goose is popular in northern Italy, especially in Friuli, Veneto, Lombardia and Emilia-Romagna. On 11th November children with pans and lids go around in Venice asking for cents or candies to shopkeepers or bystanders and singing a nursery ryhme in dialect. They go for “battere San Martino“ (to beat Saint Martin). After that children buy the typical sweet with the money they gathered. The sweet is a traditional sweet prepared for St. Martin’s Day. It represents Saint Martin riding the horse and it is made of pasta frolla and garnished with pralines, chocolates and candies. The old version was a quince jelly cake. Children receive one from their grandparents or parents. Many pastry shops show this sweet in their windows. Sicily, the land of sun, is lively in winter too. In the past there were a St. Martin’s Day for the rich (11th November) and one for the poor (on the first Sunday after St. Martin’s Day). During the day of the poor, in Palermo women prepare cookies big as an orange, whose dough contains anise seeds and wild fennel. These cookies were immersed into the vino moscato. In the past, the biggest seasonal livestock marketplace took place on Saint Martin’s Day. In this marketplace farmers used to buy and sell animals with horns, like cows, bulls, goats and male sheeps. That’s why Saint Martin became the saint of cuckolded people. Being cuckolded meant that a man was wick and not able to control his wife. The cuckold had to be jokingly persecuted. In many towns in Lazio, Campania and Abruzzo region, on 11th November a group of young people parades along the streets holding deer horns like a way of preventing to be cuckolded. Everywhere in my country you can find events to celebrate this saint and the wine of course! First of all there is “Cantine aperte a San Martino“, an yearly event organised by Movimento Turismo Vino, and it’s similar to “Cantine aperte” that takes place in May. Here following I suggest you some events divided by region that you can’t miss. Batailla de tchevre (battle of goats) in Perloz – 13 November: the first edition of this battle was in 1981. The goats are divided into 3 categories according to their weight. The battle starts at 1pm. The fight ends when one of the two goats surrenders. The winner goat receives an handmade wood collar with the typical bell. Festa di San Martino (St. Martin’s Feast) in Aosta – 11 November: the feast of the patron saint. Fuochi di San Martino (Saint Martin’s fires) in Predazzo – 11 November: 5 great fires are lighted along the side of the mountains at 8pm on Saint Martin’s Day. 5 are the quarters of the town. The proud of each quarter is to get the highest flame. To do that people gather wood almost secretlyin the previous day because other quarters don’t have to know how much big the pile will be. Groups of people standing around them play cowbells and other noisy objects. Sagra dell’Oca (Festival of Goose) in Morsano al Tagliamento – 4-20 November: everything on the menu is made with goose. Fiera di San Martino in Santarcangelo di Romagna – 11-13 November: the fair reminds the buying and selling of livestock, rural tools, food reserves. In these days there is the Palio della Piadina, a competition between non professional piadina maker. Le dolcezze di San Martino in Montescudo-Montecolombo – 13 November: it’s a market of artisans and hobbysts. You can taste the typical Pagnotta di San Martino, whose recipe is jealously kept by the villagers. Festa del patrono (patron saint feast) in Sinalunga – 11-13 November: on 12th November there will be the exhibition of the flag wavers and the historical representation of Saint Martin, on the next day the Running of the carts. Festa dei Bringoli di San Martino (St. Martin’s Bringoli feast) in Anghiari – 12-13 November: bringoli are like long spaghetti made of water and flour. They are prepared by local houswives and garnished with tomato sauce with mushrooms or meat. You can also eat the brustichino – a toasted slice of bread seasoned with extravirgin olive oil and salt -, sausages, chestnuts and drink wine coming from Valtiberina. Corsa delle botti (race of barrels) in Costacciaro – 12-13 November: the two teams will compete towing a barrel along a route through the streets of the city. The winner will be the team which will take less time during the two rounds. St. Martin’s Feast in Caldarola – 13 November (this year the event was cancelled due to the earthquake). Le glorie di Scanno in Scanno – 10 November: on St. Martin’s Day eve the glorie, big piles of wood and stumps, are raised. When the sky is dark, people light the glorie which will burn all night long. When the fires fade, young men come down of the mountains and walk through the town centre with cowbells and other instruments making a big noise. Festa del ringraziamento (Thanksgiving feast) in Introdacqua – 13 November: it’s a old tradition according to which farmers thank gods for the abundance of the summer harvest. Festa di San Martino con le Cococce e la pizza che lla carbenata in Trasacco – 10-11 November: cococce are big pumpkings, made similar to Halloween pumpkins. Inside they put a burning candle. The day before boys and girls walk around with the cococce in their hands singing the song of Saint Martin and receiving money. In this occasion women of Trasacco prepare a typical pizza, hiding pocket money inside. Panonta is typical too. It is a pizza with pork, sausages and bacon. Novello sotto il castello (New wine around the castle) in Conversano – 11-13 November: during 3 days you can taste the new wine made in Puglia enjoying shows, dance and songs. Sagra del Fungo Cardoncello (King Oyster Mushrooms festival) in Ruvo di Puglia – 12-13 November. Giro delle botti e dei catoj in Monforte San Giorgio – 12-13 November: on St. Martin’s Day people walk around the streets playing accordions and tambourines and offering new wine to their friends.